Interloft Conversions Ltd specialise in loft conversions in Bradford and the entire Yorkshire region. With over 15 years’ experience and an unparalleled service for all attic, part loft and dormer conversions to suit individual specifications, we are the only company you need for loft conversions in Bradford. 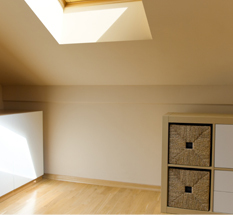 An attic conversion is a great way to make the most of the space in your home. Why use it for storage when you could convert it into a bedroom, luxury bathroom or office? Combining flawless design and functionality to create a loft conversion that meets your exact requirements is our speciality. Not only will an attic conversion expand your available space and improve your lifestyle, it could also increase the value of your home too. At Interloft we work with you through every step of the loft conversion process to ensure the finished result is exactly as you want it. With professional and experienced staff that have all been trained in-house, Interloft provide an unrivalled loft conversion service that holds your requirements at the highest priority. We never use sub-contractors so you can be sure you’ll receive a friendly and reliable service every time. Our Attic Conversions are Guaranteed for 10 Years! All loft and attic conversions we undertake are completed within 6-8 weeks and are guaranteed for 10 years. For a free loft conversion quote please call 0800 999 4034 and see how Interloft can help transform your home!